Summer is the best time to throw a patio party so that you can have a great time with your family, friends and neighbors. All that you need to host a successful patio party in the backyard or the porch is good food, refreshing drinks and entertainment. If you are planning to organize the first patio soiree of the season, these 5 guidelines would help you to make your patio get together a unique celebration for your near and dear ones. 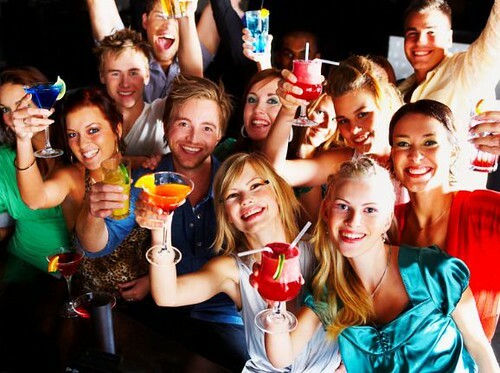 Choose a theme: The most important step to planning a party is to pick an attractive theme; for example, picnic theme, beach theme, cocktail theme, black-tie dinner party, etc. Or organize a patio party to celebrate your wedding anniversary, birthday and even holidays. Choose comfortable outdoor furniture and decors: Once you have decided the theme of the patio-party, the next step is to choose comfortable patio furniture along with picnic tables. You should also choose decors to match your chosen theme. Decorate your patio with colorful balloons, personalized banners with a personalized message to welcome the invitees. If you are throwing the party in the afternoon, you can install patio umbrellas as a stylish means to provide shade to the guests. If you are throwing the party in the evening, you can choose stylish patio lights to illuminate your patio thereby enhancing the ambiance of your porch or backyard. Paper or glass lanterns are another way to cast an amazing radiance to enhance the visual appeal of your patio. You can also beautify your patio with decorative aroma candles. Tealight candles are an excellent choice for patio parties. You may also place a canopy as a safety measure to protect your guests from rain or insects. Plan the menu: The next important step is to plan the menu for the patio-party. You can choose simple yet delicious recipes to impress your guests. Welcome your guests with beer, wine and other refreshing drinks before serving food to them. Ensure that you preheat the oven so that you can start cooking the dishes and serve your guests on time. Also, arrange for snacks and desserts to perfect the menu. Install a grill and arrange for a refrigerator: Give your patio a classy look by installing a grill and placing a refrigerator. 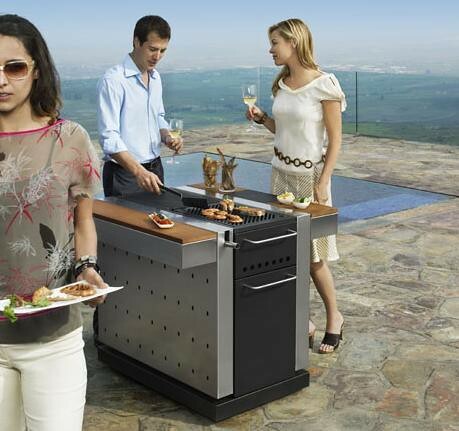 The grill would be useful for cooking food and the refrigerator would help the guests to enjoy cool beverages of their choice. Arrange for music and games: While planning a patio soiree, ensure that you place a good music system to add life to the party. Music in the background would help elevate the mood of your guests and make your party much more enjoyable. Alternatively, you may also invite musicians and artists to perform at the party. A patio party is not complete without games. You can plan interesting games for your guests such as card games, chess and checkers. For those who are fond of outdoor games, you can set up volleyball net and even play bocce ball, football or Frisbee. These are the 5 magical steps to throw a successful patio get-together. Next time while hosting a patio party, follow these tips to make your get-together an exceptional experience for your guests.